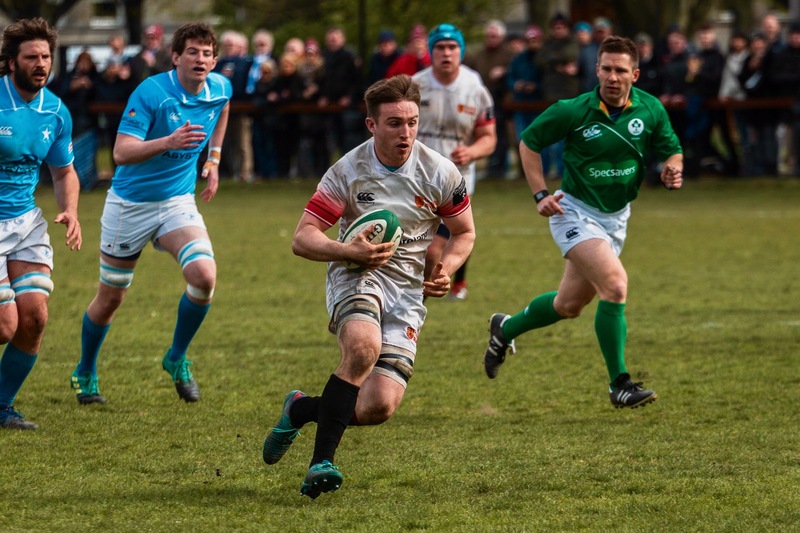 Trinity caused perhaps the upset of the All Ireland league so far this season when they travelled to Castle Avenue and came away with an unlikely win versus Clontarf. The win was unlikely as the conditions were wet and miserable, played on a gluepot of a pitch. Those conditions usually suit the experienced, well-drilled and massive home pack. 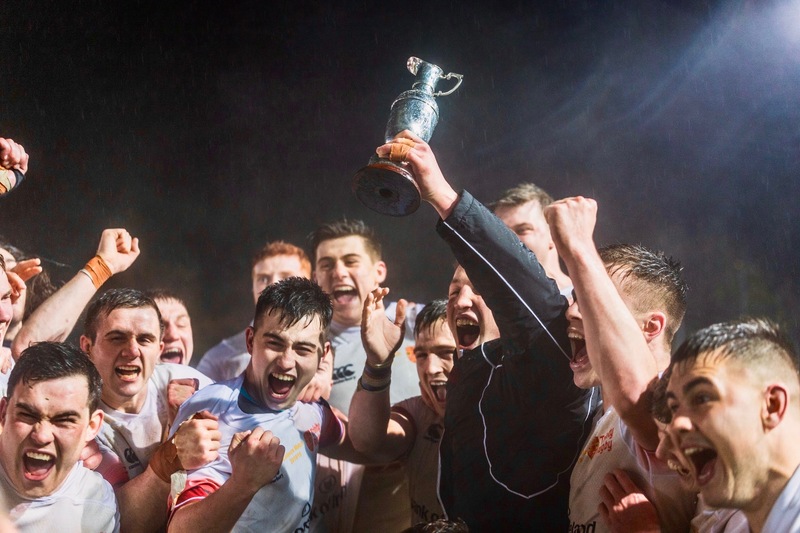 The match doubled up as a quarter final of the Leinster Cup and so D.U.F.C. now progress to the semi final! Trinity lost the toss and were given first use of the substantial gusting wind. They played the conditions well and controlled the majority of the first half. The students dominated the collisions and took their opportunities. Out half James Fennelly kicked a penalty but minutes later the Trinity crowd really perked up when, after several phases near the line, outside centre James Hickey coasted through a yawning gap to score under the posts. Trinity continued to attack and Clontarf continued to infringe. Fennelly kicked another two penalties and the students went into deserved half time 16-0 ahead. 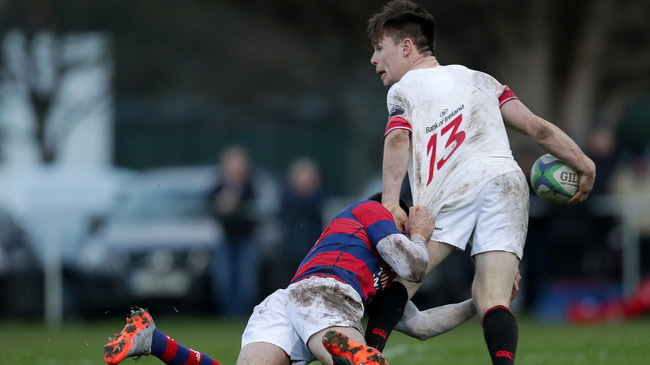 In the second half , with the elements in their favour, Clontarf were quickly rewarded with a try after a poor clearance by Trinity. 10 minutes later they scored again after a rolling maul and looked well set to overhaul the students at 16-12 and 25 minutes remaining. The students clearly had other ideas and they battled for every possession and made every tackle. The spirit and aggression of the rearguard defence was wonderful to behold. The game inevitably came down to the final line out. The maul always looked to be the way the home team would eventually unlock the visiting defence. On 78 minutes Clontarf were awarded a penalty and the ball was kicked into the corner. 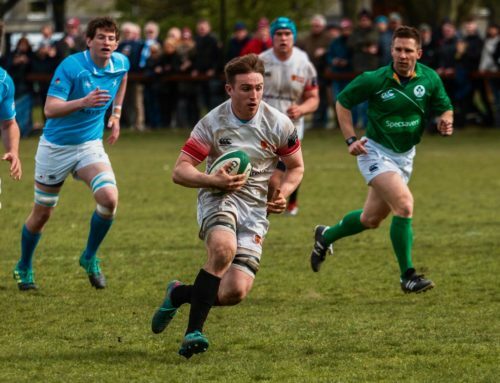 Incredibly Trinity No 6 (Ballymena native) Johnny McKeown leaped up at the front of the line out and picked off his 2ndor 3rdpoach of the day! In a frenzied finish to the game Trinity were driven right back on to their own line. 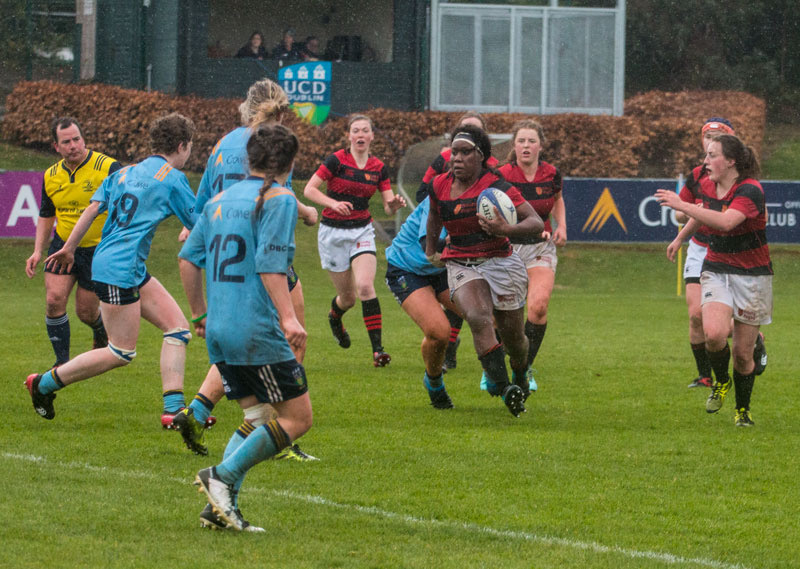 Crucially they had possession and the Trinity pack quickly reorganized and took the ball through three or four phases on their own line in a nerve wracking finale to the game. Eventually the referee gave the nod for the end of the game and James Fennelly ran the ball dead to jubilant celebrations of players, coaches and supporters!. 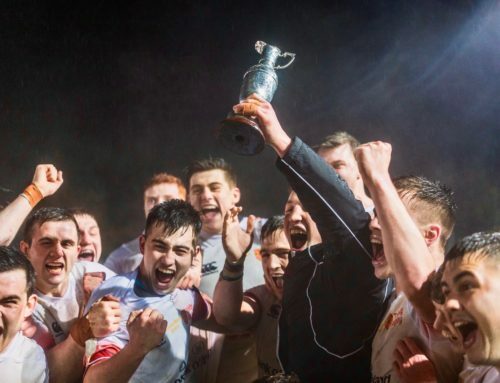 This was a ‘Landmark’ win for Trinity who, since they have been promoted into 1A of the All Ireland League three seasons ago, have generally struggled against the “Top 4” teams in the league. It was good to win against formidable opponents on their own ground. 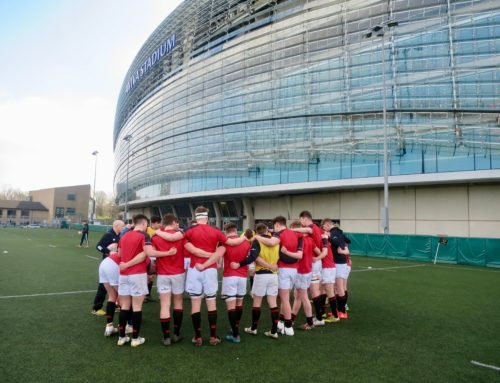 Trinity do not have any time to celebrate and at the end of what is exam week in the College, the Rugby team face the toughest collective examination in Irish club rugby when they host reigning All Ireland champions Lansdowne in what should be a physical and furious game in College Park next Saturday 2.30pm KO. Trinity U20s Premier XV had an emphatic 52-0 win over Blackrock College RFC. The ‘Prems’ scored some spectacular tries in an 8 try romp in Stradbrook. 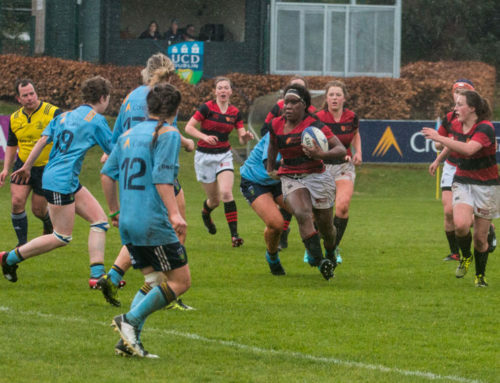 The defending All Ireland Champions Trinity go into the holiday break in second place behind Clontarf with everything to play for. Trinity U20s Freshers XVwent down to Premier 2 leaders Old Wesley 37-24, in a game where they stayed in touch for most of the game. Trinity Senior 3rdslost 22-15 at Barnhall but stayed top in Metro 6 for Christmas with a bonus point for losing within 7pts.